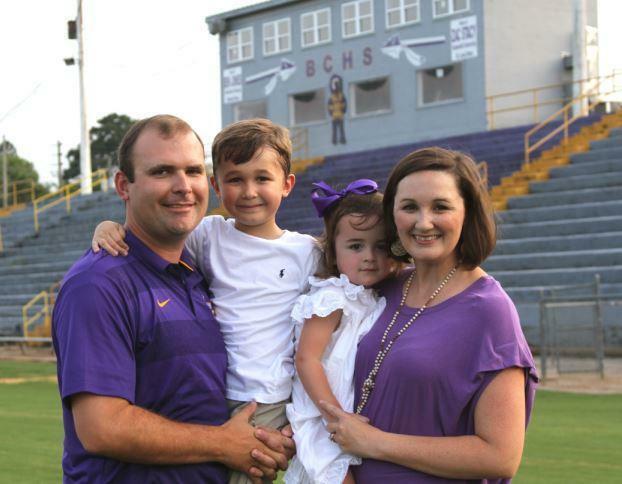 Coach Matt Geohagan is entering his fourth season as head coach at Bibb County High School. In Geohagan’s first year at the helm, the Choctaws finished 7-4 after winning the region and advancing to the first round of the playoffs. In 2016, the Choctaws made it to the second round of the playoffs and finished the season with an 8-4 record. Geohagan was also awarded the Tuscaloosa News Class 4A/5A Coach of the Year for the 2016 season. Last year, the Choctaws advanced to the third round of the playoffs and ended the season with an 11-2 record. Geohagan is one of only 3 coaches in the school's history to advance the Choctaws to the third round. Prior to coming to Bibb County, Geohagan served as the Defensive Coordinator at Demopolis High School for five seasons. Before becoming a coordinator at Demopolis, Coach Geohagan coached Defensive Backs at Russellville High School for three seasons. During his stint in Russellville, Geohagan’s teams advanced to the state championship game two out of three seasons. 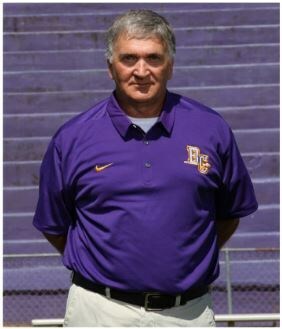 Coach Geohagan began his coaching career eleven years ago at Demopolis, where he coached Defensive Line for two seasons. Prior to coaching, Geohagan attended the University of West Alabama where played safety for the Tigers for four years. 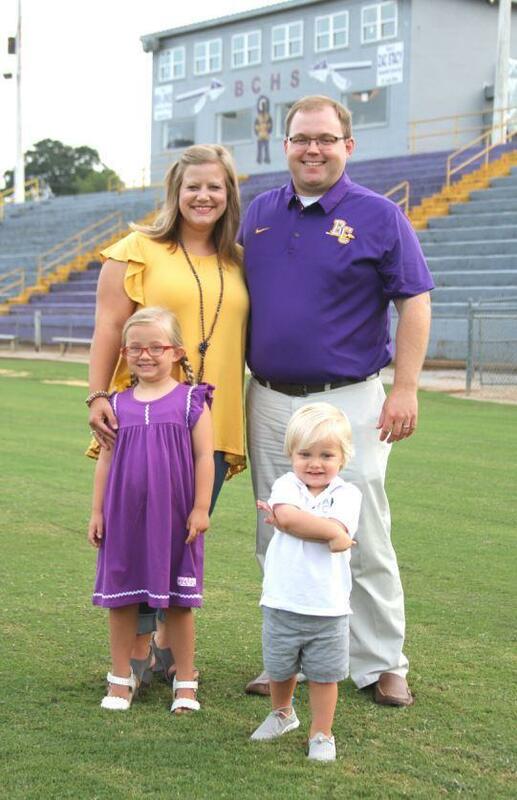 Coach Geohagan and his wife, Coty, have been married for eleven years, and have a six year old son, Mitt, and a two old daughter, Saylor. The Geohagans are thankful for the community’s support and look forward to the upcoming season. Coach Kevin May is the Head Baseball Coach and Offensive Coordinator for the Choctaws. May is entering his fourth season at Bibb County High School. During this time, the Choctaw football team has advanced to the first round, second round, and third round of the 4A state playoffs with an overall record of 26-10. Coach May and the offensive staff have led the Choctaws to a 32 points per game scoring average over the past 3 seasons. In his two seasons as Head Baseball Coach, May has led the Choctaw Baseball team to the second round and the fourth round of the 4A state playoffs with an overall record of 49-24. In previous years, Coach May was the Inside Receivers and Defensive Backs Coach as well as Assistant Baseball Coach at Demopolis High School. May played college baseball at East Mississippi Community College and earned his bachelor’s degree in physical education at The University of West Alabama. 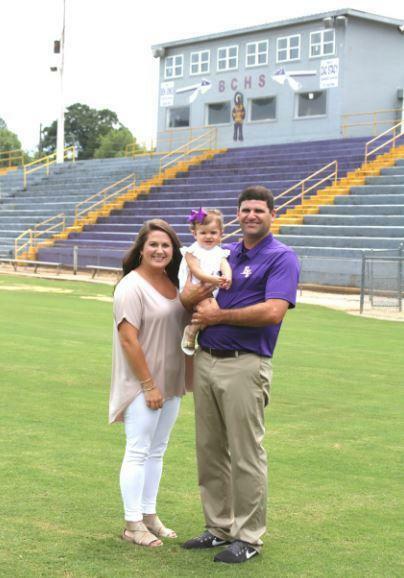 Coach Kevin May and his wife, Nicki, have a one year old daughter, Monroe, and are expecting another little Choctaw fan in January. Coach Massey starts his second year at Bibb County as Defensive Coordinator. 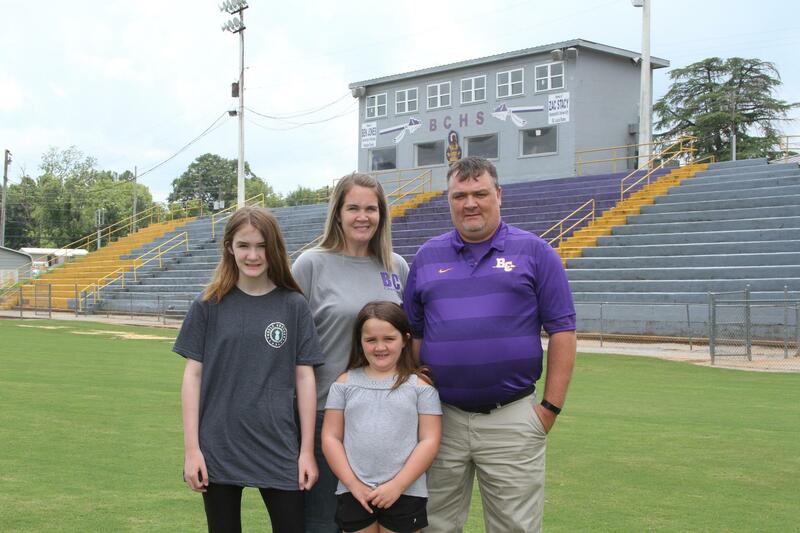 Massey has coached various sports at the middle and high school level, including football, tennis, softball, track, and basketball. The last two years, Massey served as an assistant football and head tennis coach at Pelham High School. 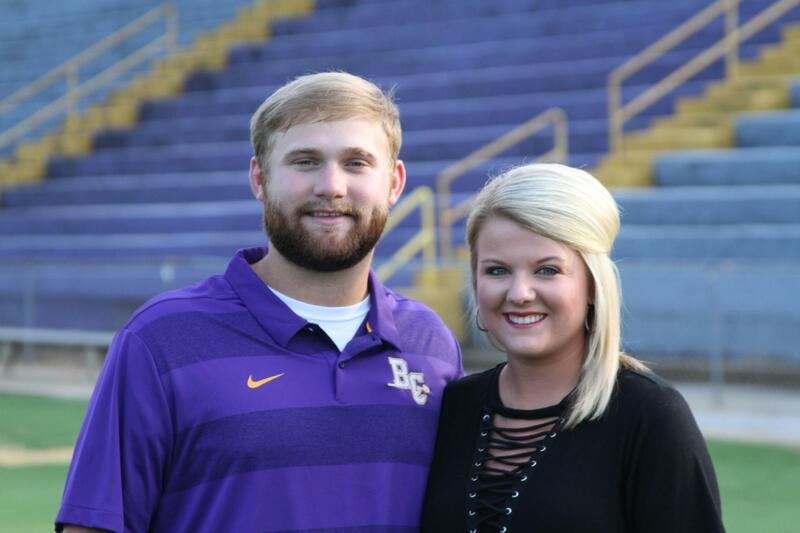 Having coached at Demopolis, Citronelle, and Stanhope-Elmore High Schools, Coach Massey brings nine years of experience to BCHS. Massey enjoys coaching and being a part of student-athletes growing on and off the field and courts of competition. 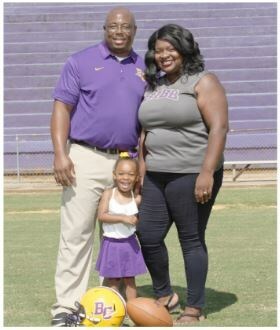 Originally from Selma, AL and a graduate of the University of Alabama, Coach Massey is married to Julie, and they have two children, Sydney Kate and Andrew. The Masseys are excited about the opportunities and challenges that Bibb County has to offer. Coach Cecil LaGrone is a retired educator for the Bibb County School System and a volunteer coach for the Choctaws. He is married to Sandra, and they share two daughters, Tammy and Kim, and grandchildren Kimmy and Trey. Coach Alan Kasper begins his 33rd year of teaching and coaching. 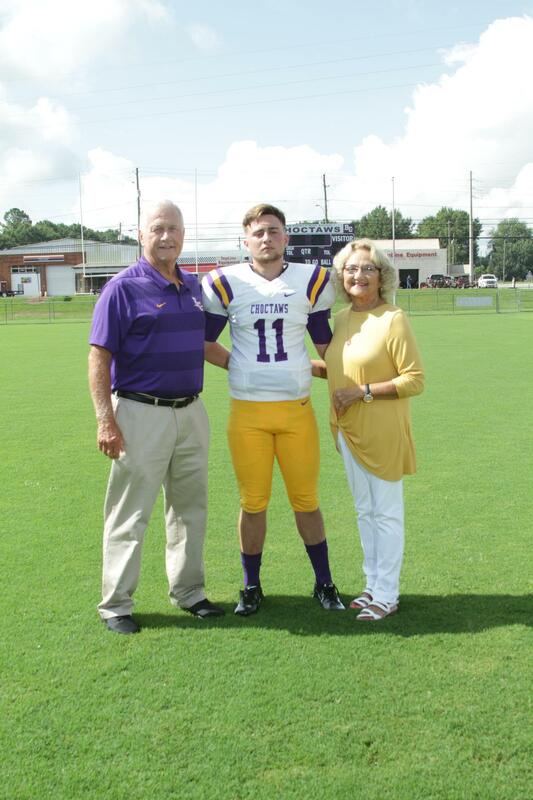 During his career, Coach Kasper has worked with players in Mississippi at Clarksdale, Quitman, and Enterprise. He also has experience in the state of Alabama coaching at Sweet Water and Demopolis. Besides coaching, he enjoys both hunting and fishing. He is married to Peggy Kasper. 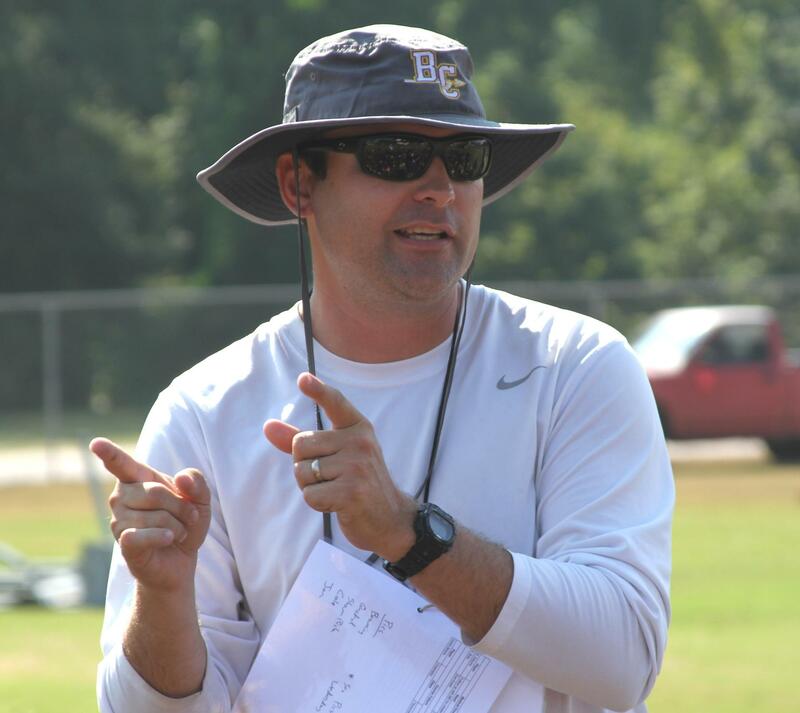 Coach Matt Hughey is entering his 16th season coaching at Bibb County High School. Hughey was an assistant football coach from 2004-2007 as running backs, tight ends, and outside linebackers coach. Hughey was also an assistant coach for the 2016 Centreville Middle football team. Hughey has been an assistant baseball coach at Bibb County and Centreville Middle since 2003. The 2007 Choctaws Baseball team was the 5A State Runner-Up. Hughey graduated from Troy State in 1994 with a B.S. in Marketing. He also completed his class B teaching certificate in Social Science from The University of Montevallo in 2003. 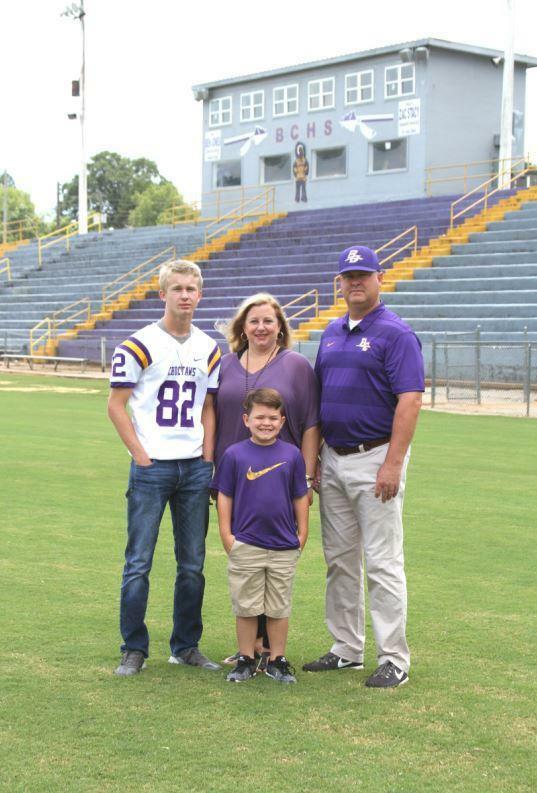 Coach Hughey and his wife Kristie have been married for 22 years and have a 15 year old son, Baylor, and a 7 year old son, Barrett. Coach Julius Dulaney continues his second year as linebacker coach at Bibb County High School. Dulaney joins the BCHS staff following an eight year stint of coaching linebackers and running backs at Highland Home. He earned his Bachelor of Science in kinesiology from University of Montevallo. 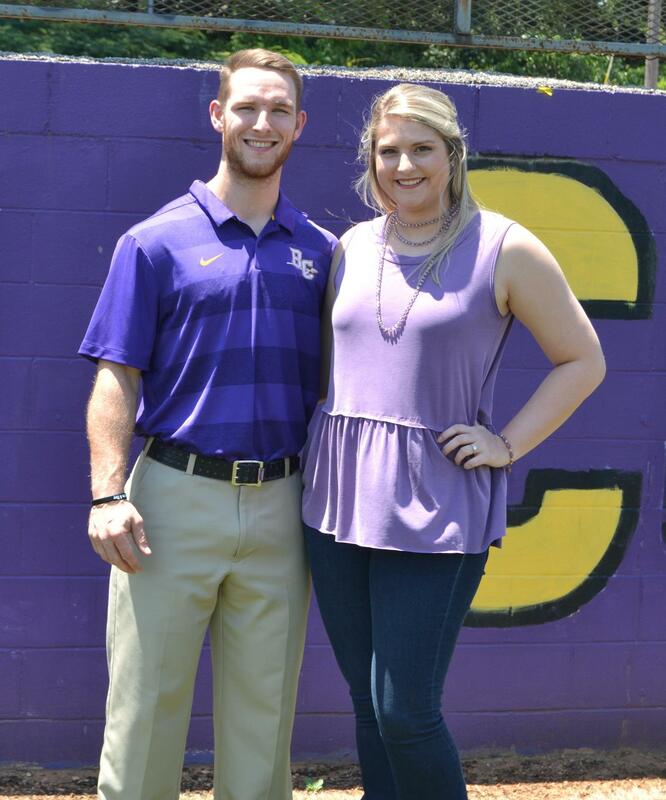 Dulaney and wife, Kelsey, have been married for four years and have a three year old daughter, Spencer K.
Coach T.J. Morton is a Bibb County graduate. During his time as a Choctaw Coach Morton played all four years as DB. He is currently attending college at the University of Montevallo to peruse a degree in history and a masters in secondary education. T.J. is engaged to Fayth Watkins. women’s golf. Currently, he still works with softball and serves as the Head Strength Coach for the All Girl Cheer team. Coach McGee has earned certifications from the National Strength and Conditioning Association (NSCA) Certified Strength and Conditioning Specialist (CSCS), and Certified Personal Trainer (CPT). Currently Coach McGee is pursuing his Master’s Degree online from Xavier University in Coaching and Athletic Development. Coach McGee lives in Tuscaloosa, Alabama with his wife, Savannah. Daniel Payne begins his second season handling the football stats, assisting with the social media page for the football program, and helping with the baseball in the spring. Payne is a 1988 graduate of Bibb County High School where he played both football and baseball. Payne has been employed at Phifer, Inc. for the past 20 years and has been married to his wife, Kayla, for 13 years. They have three daughters, Kayla, Kari, and Kyndall and share two granddaughters, Keegan and Aybree.